Whilst the majority of this season has been high on concept, low on delivery, the season finale was full of iconic moments, quotable lines and set pieces that for once get used for some actual action. In some ways, this would have made an opening episode for an excellent two-parter, with Capaldi given the chance to play a Doctor with an entire army at his fingertips and Missy counting down the clock. Still, if this is all we get, then there’s a lot here to be grateful for. It also racked up an impressive body count, even if you ignore the Cybermen — Osgood, Colonel Ahmed, Kate Stewart (sort of) and Danny Pink, dying for the second time in as many episodes. Even Missy seemed to meet her maker — but can you really keep a bad girl down? 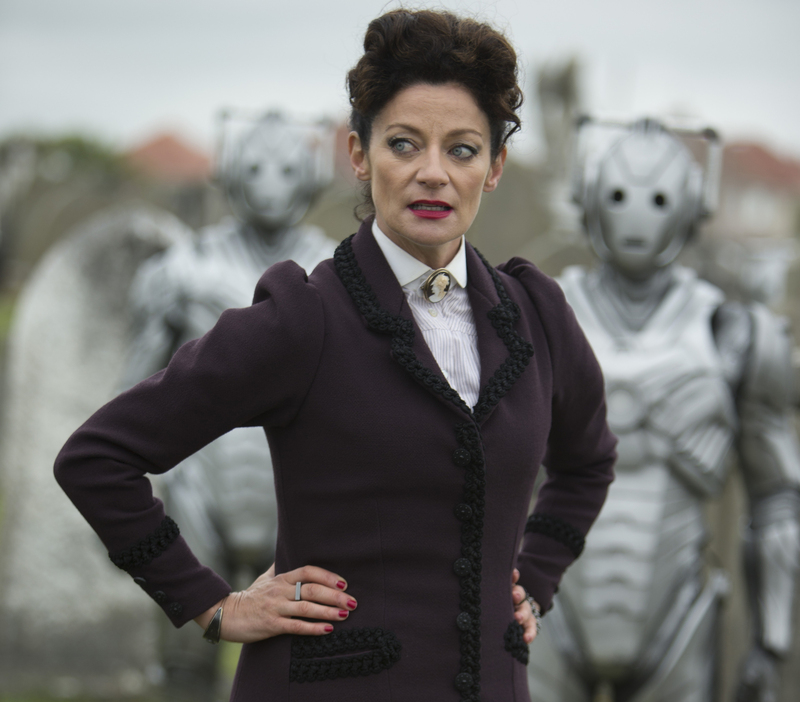 If this is the last we see of Michelle Gomez, it will be a crying shame — Missy is one of the most truly terrifying villains we’ve had in the show’s entire run, and she blows previous Master, John Simm, out of the water. She could have been all style and no substance, and she certainly had some wonderful moments — singing “Hey Missy” to the tune of “Hey Mickey,” calling herself the “Queen of Evil” and charging passersby a pound to take photos of the alien menace she’s just unleashed on their planet. But easy as it would have been to make her an enjoyable one-note villain — terrifying, manic, camp — Gomez introduced a hint of vulnerability in her final moments, and no one can deny that Missy genuinely has feelings for the Doctor. Creepy, obsessive, destructive feelings, but feelings all the same. She remembered his birthday. She gave him an army. She just wants her friend back. You don’t want her to win, but you don’t really want her to lose, either. At one point it looked as though Missy was going to destroy everyone except the Doctor. Luckily she didn’t, and for once the normally-bloated cast all got a fair crack of the whip, with the exception of Sanjeev Bhaskar’s Colonel Ahmed, who fulfills the same function as Danny did in “The Caretaker” — someone for the Doctor to vent his dislike of the military at, whilst simultaneously undermining the only person of color in the room. Once is unfortunate. Twice, and you the words “racial profiling” spring to mind. At least Moffat’s famed misogyny was absent here — what with Missy, Clara, Kate Stewart and Osgood, it was the rare episode that passed the Bechdel Test with flying colors. Osgood has always been a bit of a Marmite character — an adorably geeky fangirl who somehow gets away with cosplaying as the Doctor at the only job which would know that reference — but Ingrid Oliver was beginning to break out of her clichéd mold when the Doctor offered to take her aboard the TARDIS, thus signing her death warrant. Perhaps that was what tipped Missy over the edge, in a prolonged death scene that felt like a cat toying with a mouse. 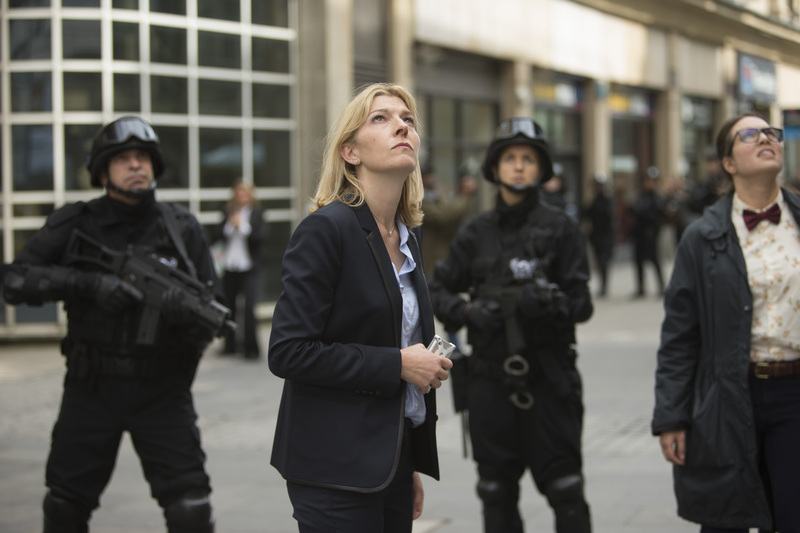 Kate Stewart was a welcome addition to the episode, as was the fact that we’re learning more about her — she’s a divorced mother of two who plays a mean game of bridge. But the repeated references to her father the Brigadier are starting to get dated. She’s developed a relationship with the Doctor in her own right, and aside from Daddy’s metal-clad cameo saving her life, it feels unnecessary. She’s saving the world in skinny jeans and orange kitten heels and she’s nobody’s little girl anymore. The real revelation in this episode was Peter Capaldi. Ever since his casting was announced, Capaldi has been described as the perfect choice, the obvious choice, to play the Doctor. But the Doctor should never be either of those things, which is perhaps what has kept him from truly pushing the boundaries of who his character can be. However, the final episode let him explore this darker new Doctor in all its complexities. It was a bleak episode, both in terms of plot and aesthetics, with a bittersweet conclusion. Danny is dead and Gallifrey is still lost, but for one awkward cup of coffee the Clara and the Doctor can tell each other one last lie, and pretend they got their happy ending. 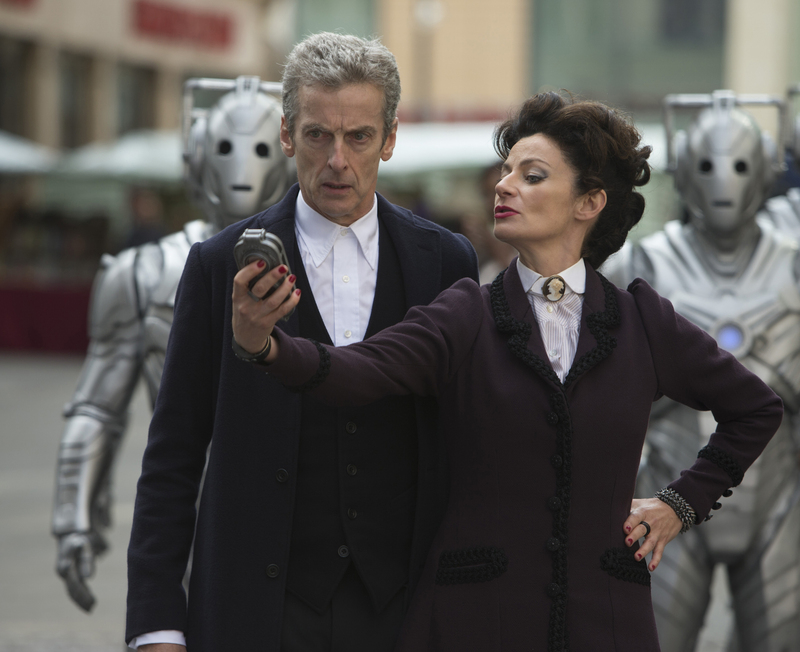 Review: Is ‘Doctor Who’ Season 8 Episode 8, ‘Mummy on the Orient Express,’ a Countdown to the Season Finale?